Who is ready for Back To School? We Are, We are! Ok, Well, I Am, I Am :) My girls are getting ready day by day the important things to do, be ready for and all of that is getting longer and longer. 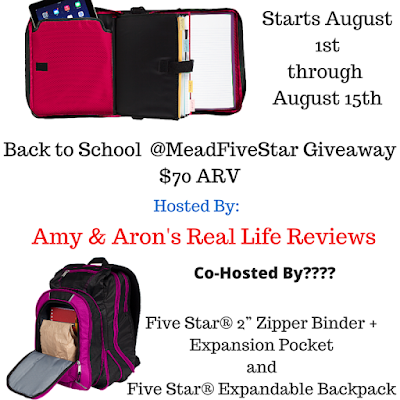 I am so happy I got to team up with #MeadFiveStar for this. These are so very awesome. I don't remember having stuff like this when I was a kid. These are expandable, with plenty of pockets and zippers. I love announcing this... A GIVEAWAY!! One Lucky Winner will receive the same thing I got to review! YAY!!! It is seriously so awesome! Storage spots for pens, pencils, calculator, stash cash, you name it, it will fit. If it's a tight squeeze, unzip one of the expansion pack and there she goes, more space than before. That goes for both of these awesome products. 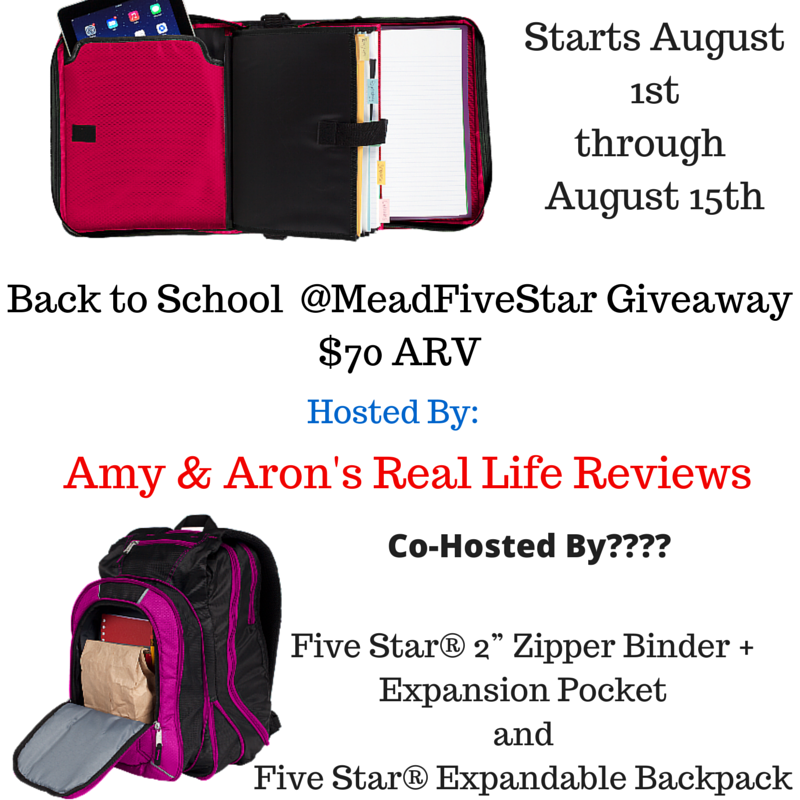 The New Five Star 2" Zipper Binder+Expansion Pocket and the New Five Star Expandable Backpack. The Five Star 2" Zipper Binder + Expansion Pocket is so cool. I mean really cool. My 9th grade school supply list is totally green with envy over Abby's 9th grade school supply list. This has the pocket in the front that zips and unzips to give more room to hold the things that you need. I love the stretchy straps. The Five Star Expandable Backpack is perfect for everything. I love the expanding pockets. It gives enough room to fit everything that a student would need. I love how the straps look. They really support the weight of the bag better with their positioning.